Burma will be the focus of the China-Asean Trade Expo in Nanning this coming September, the vice-governor of the hosting region Guangxi said on Wednesday. "Guangxi will take advantage of the historic opportunity of launching a China-Asean free trade area," Lan said, referring to a concept that was first hatched at a summit in Phnom Penh some 10 years ago. Under the so-called Framework Agreement on Comprehensive Economic Co-operation, China and member states of the Association of Southeast Asian Nations (Asean) are committed to establishing a free trade area among themselves by 2015. Lan made his comments during a press conference on the occasion of his visit to Beijing for the yearly National People's Congress. 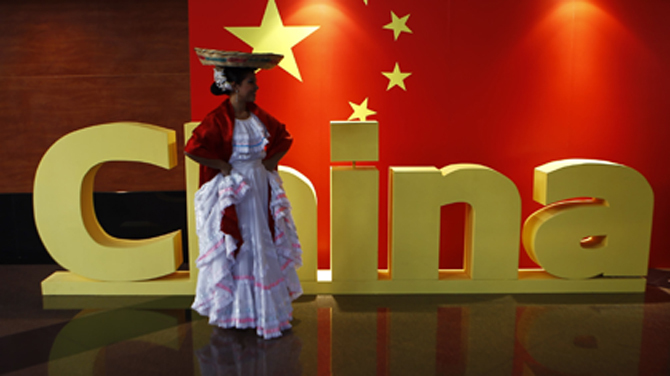 He is one of the Congress' more than 2,900 delegates who convene once a year for two weeks to deliberate on and approve policies put forward by the Chinese Communist Party and the government's work report. Eight years ago, the annual trade fair was moved to Nanning, the capital of Guangxi, which is located in southeastern China close to the Vietnamese border. The fair has since become an opportunity to hold informal bi- and multilateral politician talks. Over the last eight events, more than 1,500 ministerial level representatives have attended, while 316,000 business representatives have participated, according to the trade fair's organizing committee. confirmed attendance, a representative of the organizing committee told the Chinese news agency Xinhua earlier this week. Last year, Burmese Vice President Tin Aung Myint Oo attended the Expo when more than 200 Burmese businessmen took part and exhibited products in 80 booths. Guangxi Province is an autonomous region with a population of 45 million. Its bilateral trade with Burma amounted to US $56 million in 2011, an increase of 197 percent on the previous year. Guangxi's bilateral trade with Asean amounted to $9.5 billion in 2011, up 46.6 percent on the year before. The trade fair will last from Sept. 21 to 25 this year. What kind of "traditional dancer" is that in the picture? Is that supposed to represent "focus on Burma"?